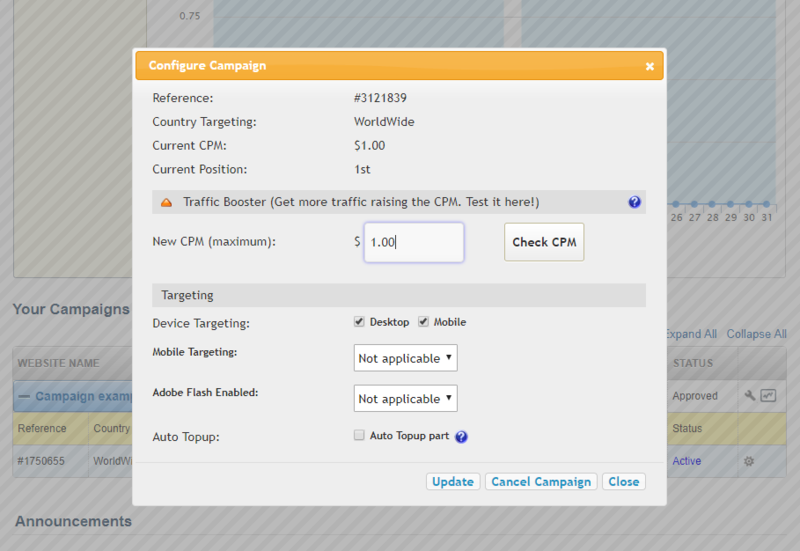 AdF.ly - Knowledge Base - Advertising - Advertising - Can I change the targeting options of my active campaign? 2. Click on the little configuration icon on the right side of the campaign you wish to update to open the 'Configure Campaign' box. 3. Select your targeting options: Desktop, Mobile (iOS, Android, carrier) or Adobe Flash. Please allow 5 minutes before you start receiving the traffic you have selected.